The Christmas holidays are right around the corner and for many families; this holiday season is a special time to gather for fun, fellowship and of course, food. Especially around the Christmas holidays, there is something so warm and inviting about sharing a nice, big turkey dinner together, complete with all the fixings. After the big meal, there are usually lots of leftovers, especially turkey. However, leftover turkey does not have to be a dread or boring, there are many simple ways to make leftover turkey into a casual, healthy meal that can be enjoyed with your family while relaxing and watching T.V. for instance. 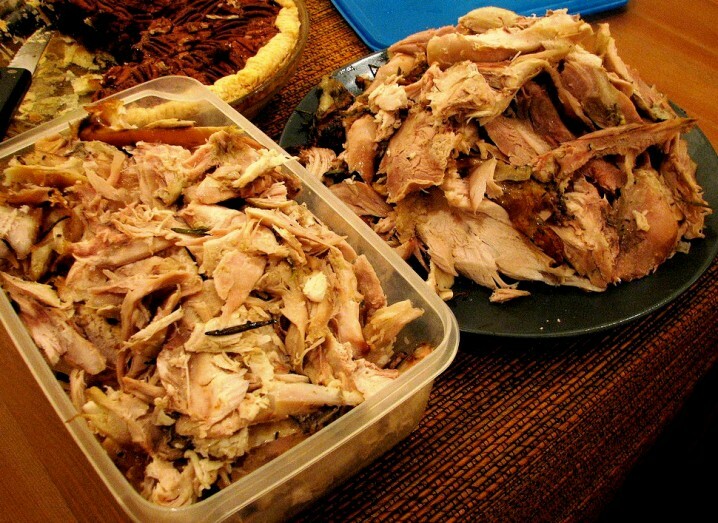 Below is an easy, healthy recipe that uses leftover turkey. This recipe can be easily modified to suite just about any taste and the ingredients are easy to find and very budget-friendly. Also, using unsalted butter and low-sodium broth for this dish will make it a low-sodium option for those who need to watch their salt intake. With only 320 calories per serving and a whopping 28 grams of protein, this dish is nutritious as well as delicious! *optional: 1 small can of mushrooms, cauliflower instead of, or in addition to broccoli and shredded cheddar cheese instead of, or in addition to the Parmesan cheese. Cook the broccoli in the microwave or stovetop for about five minutes, or until the broccoli is tender (not fully cooked) and lay on the bottom of a buttered 9 inch x 13 inch baking dish. Add the turkey on top of the broccoli. Melt the butter in a large skillet and add onions (and mushrooms if you are using them). Saute onions over medium heat until they are golden brown. Add flour and broth and bring to a boil. Reduce heat to low or simmer and simmer for three to five minutes. Add wine and cook an additional one minute. Add milk or cream and half of the Parmesan cheese and simmer an additional minute. Remove from heat and pour over the broccoli and turkey. 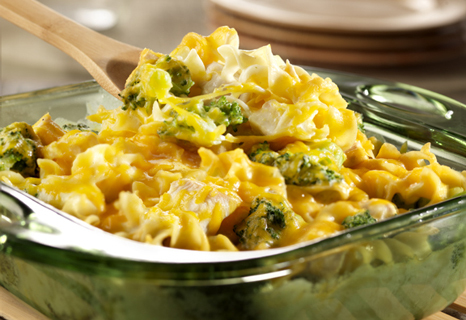 Sprinkle remaining cheese on top and bake at 350-degrees for 20-30 minutes. This recipe is sure to please the entire family. The high protein content and delicious flavor will leave you and your family happy and satisfied. Additionally, this dish is a both simple and healthy way to prepare leftover turkey. Your family may even request this leftover Christmas turkey instead of moaning about "leftover turkey again".